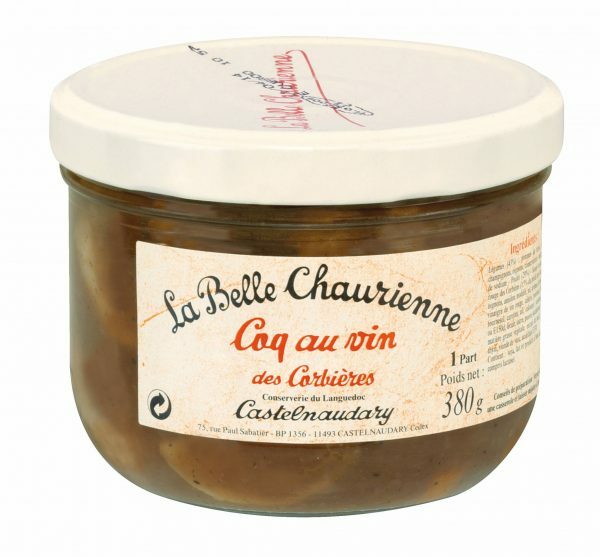 A delicious ready prepared French meal for one – simply requires warming and enjoy after work! Also enjoyable to share with Family and friends if you want a good French meal with little time spent in the kitchen. 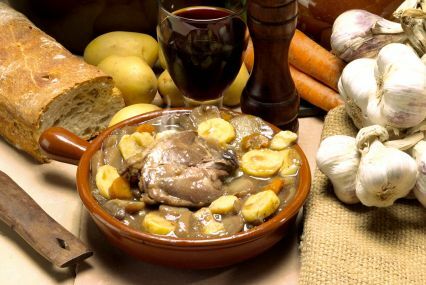 Classic French coq au vin (rooster) cooked in a rich and flavoursome red wine sauce. Dietary Information: Gluten free. Wheat and derivative free. Nut free. Egg free. Lactose free. Chicken, potatoes, red wine sauce (made with Corbieres wine (contains sulphites), water, onions, modified corn starch, salt vinegar, celery, leeks, natural flavouring (soya), sunflower oil, carrots, garlic, sugar, pepper, laurel, thyme), carrots, button mushrooms, onions. Pour contents of jar into a saucepan and warm gently on medium heat for approximately 10 minutes. Delicious with a side portion of swede or mashed potatoes, or in the Summer months a side salad!